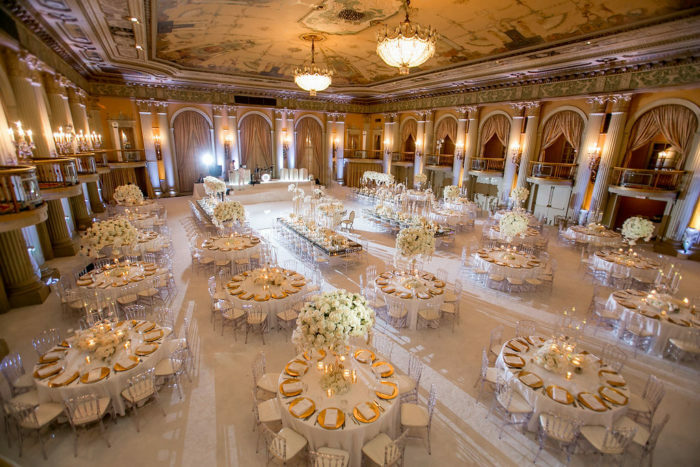 The Millennium Biltmore has been a backdrop to many of our most lavish weddings. 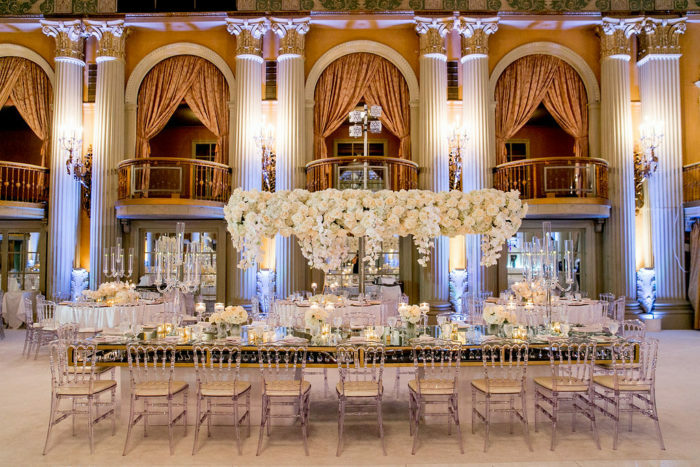 This historic hotel was the epicenter of Old Hollywood and now is a sought-after venue for luxury weddings. 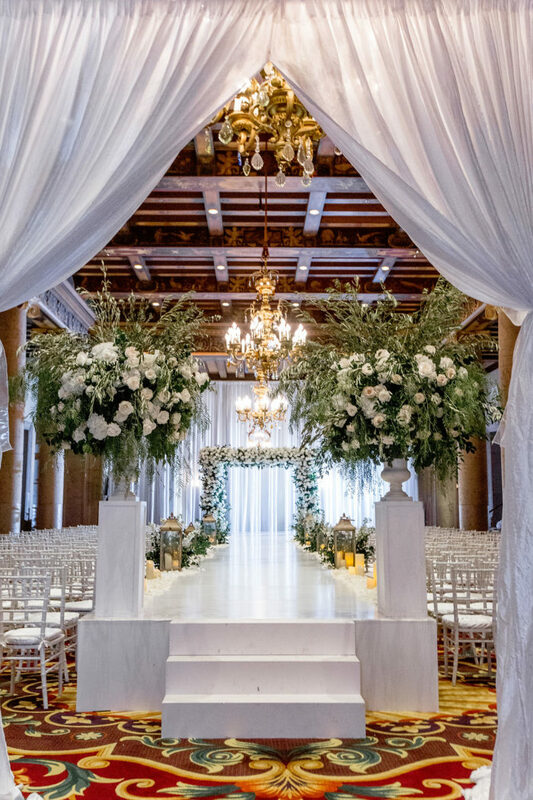 The ornate ceilings, draped balconies, and Deco details are one of a kind, providing endless wedding inspiration for floral design. 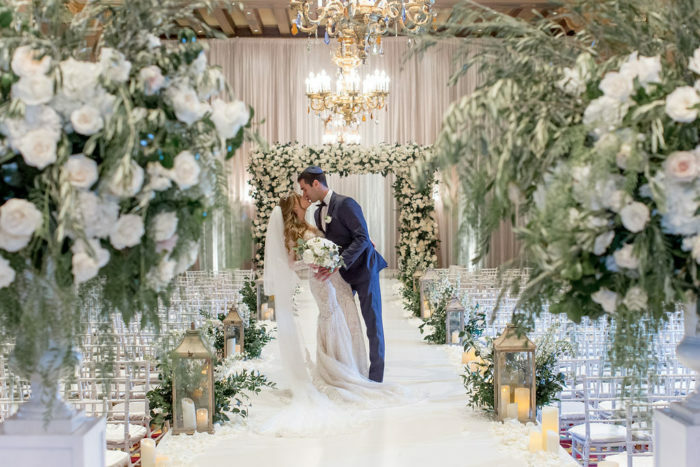 For their wedding flowers, our couple wanted the fresh vitality of a garden with the glam of gold and glass accents. 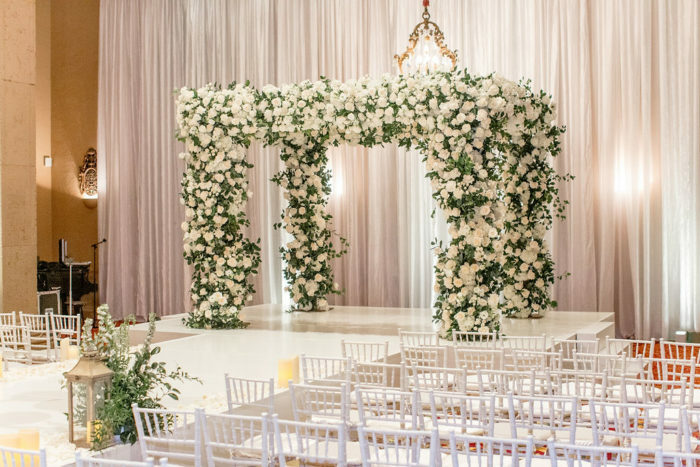 We worked with a palette of whites and ivory, in the form of roses, weaving in lush greenery for a springlike feel. 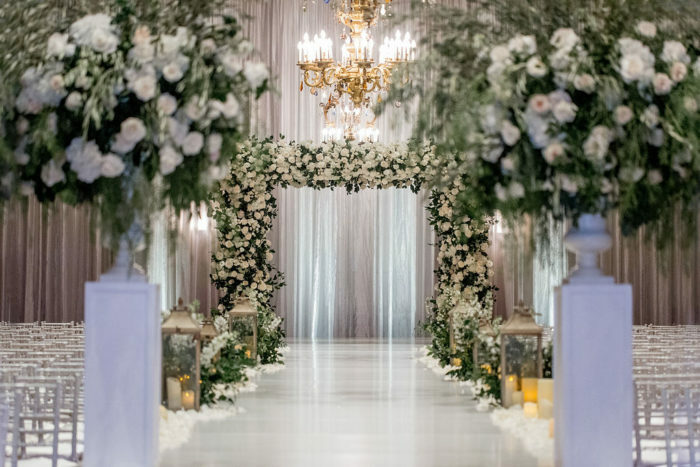 Our design featured our custom metalwork, in the form of candle holders, as well as large bridge centerpieces and opulent urn pieces. 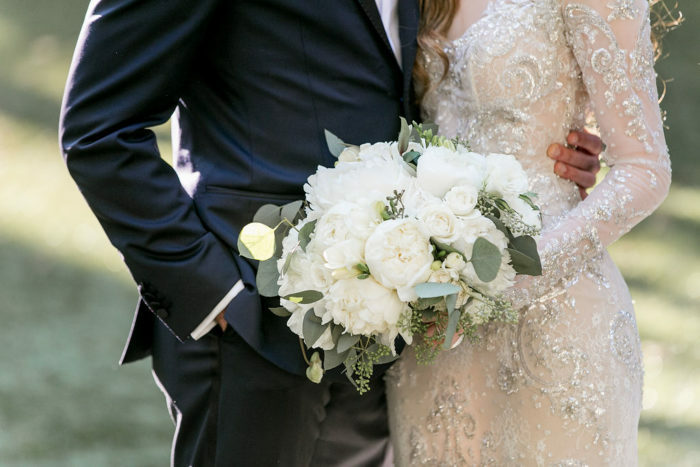 Working alongside an amazing vendor team, including photographer Katie Beverley, the look came together beautifully. 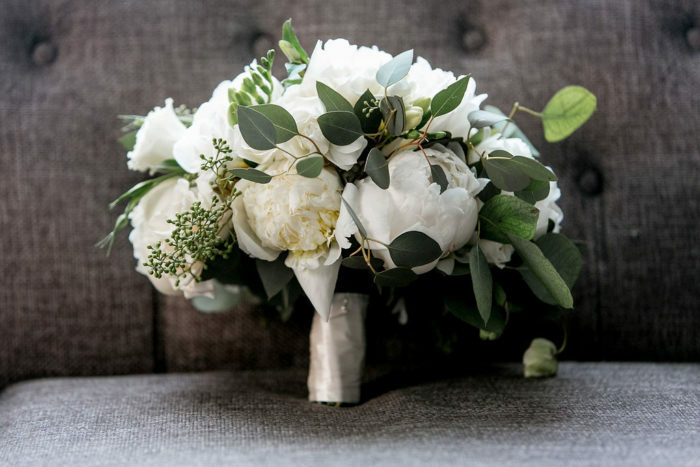 These glorious urn centerpieces at the end of the ceremony aisle are full of olive branch, pepper tree, and other greenery, and white florals and roses. Wood pedestals add more height for a truly grand first impression as guests walk into the ceremony space. 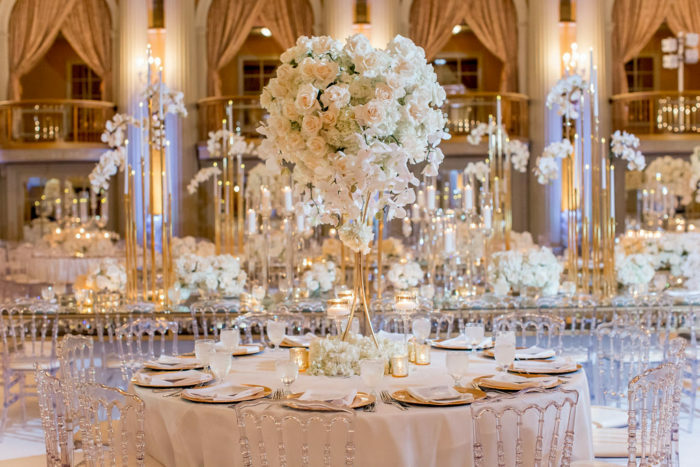 We are constantly building or sourcing custom pieces such as multi-height candle holders, to add visual interest and a one-of-a-kind look to our couples’ wedding design. 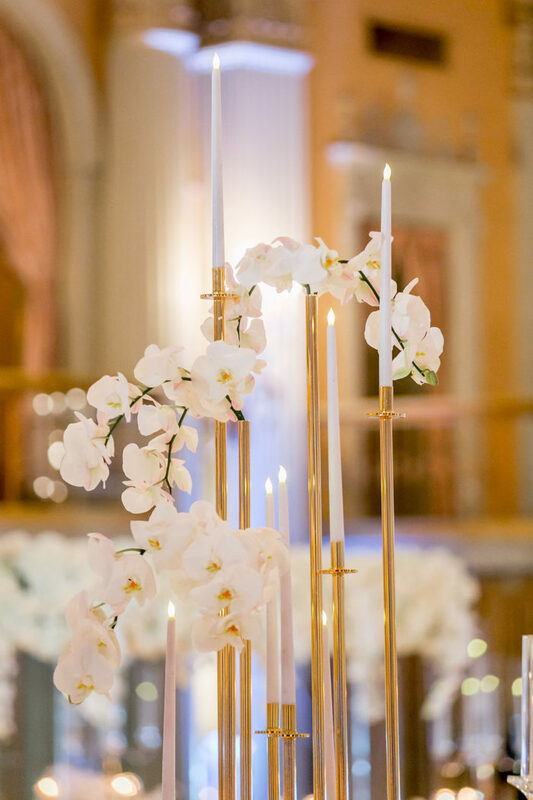 This gold piece with taper candles adds glamour to the table setting. A pop of orchids completes the look.